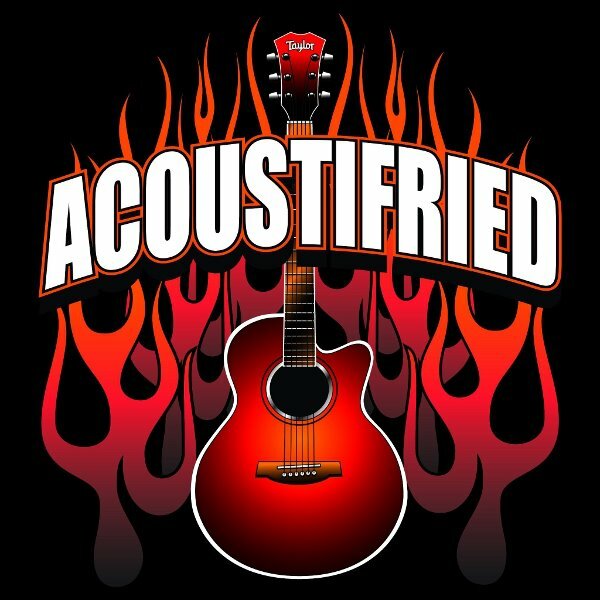 Acoustifried is a 4 piece classic rock/country band out of the Tri Cities area that was formed in August 2009 by frontman J.R. Moore. The band plays mainly at venues in the area and are also working on their first CD in which 5 tracks have already been recorded. Lead vocalist & guitarist J.R. Moore started his musical career singing solo in churches at the age of 6 and then started playing guitar at age 15 and has since played in many local bands around the area including Flashback, Brand X, Cold Steel, Wyndego and The Duotones. His band Brand X won the regional True Value/Jimmy Dean competition in 1994 and traveled to play for the state title at ever popular Wildhorse Saloon in Nashville where they finished 2nd. Not long after that he joined Cold Steel where he found his longtime musical partner Jeff Wright and played with them til 1999 opening for national acts Perfect Stranger, The Kentucky Headhunters, Confederate Railroad, David Allen Coe and traveled to Atlanta to open for Pam Tillis at Lakewood Ampitheatre. J.R. then went solo and opened for acts Tracy Byrd and Tracy Lawrence before recording a full length gospel cd which included some of his original songs and toured the 5 state surrounding area promoting the album. He then joined back up with Jeff Wright to form The Duotones. After a while he talked Jeff into making a full band again and Acoustifried was born. Jeff Wright has been playing the Tri Cities since the 70’s and played with Nite Flite and Nugget where he performed at Freedom Hall in a WQUT based “Battle of the Bands”. He later joined Cold Steel and was with them the whole time that band was playing. Jeff and J.R. have been playing together since 1994. Jeff plays lead guitar, mandolin, banjo, harmonica and does vocals as well as running Acoustifried’s sound. Florida native R.J. Smith started playing guitar in ’87 and bass in ’91 and now adds harmonica, upright bass, piano & vocals to his list of instruments. He has opened for rock act NonPoint in 1999 and has played in many bands in that area including forming and singing for rock reggae band Relief Squad. He is also a dj and produces electronic music in his spare time. Jason Malone plays drums and has played the last 7 years at Abingdon’s Highland Fellowship church which he played to a sold out Viking Hall on Easter 2010. Jason’s music career started at age 3 with the drums and he was soon on stage at age 4 and played in a gospel band with his dad until he was 10 years old. He has played with the popular local band The Nomadz from 2005-2009 and he opened for Little Texas when he was with the band Southband. He later played with Reagan Boggs and has opened for national Christian acts Newsong and Big Daddy Weave. Some of the venues Acoustifried have had the honor of playing are, Capone’s, Lakeview Marina, Sonny’s Marina, The Country Club Bar & Grill, and Boozy Creek. For more info, our schedule, videos and more go to Acoustifried.com and also go to their Facebook page as well to find out when and where they’ll be playing next. Stay fried!